As one of Branson’s premiere hotels, the Grand Oaks Hotel stands apart with its luxurious accommodations, dedication to customer service, and attention to every detail of your stay. 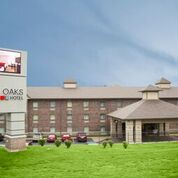 Here at Grand Oaks, you will enjoy a refreshing environment, quality amenities, and a level of service traditionally associated with “upscale” hotels, all at an incredibly affordable price. We are located just minutes from some of the best attractions, shows, and restaurants that Branson has to offer, making it easy for you to maximize your day, and return home to enjoy your night. At the Grand Oaks Hotel, our friendly and professional staff is ready to assist you with any question or need that you may have during your stay. 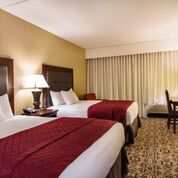 We are committed to delivering you high quality service, stylish and comfortable accommodations, and Ozark hospitality. We hope you enjoy your stay. Every room is non-smoking and is connected to an interior corridor and elevator.